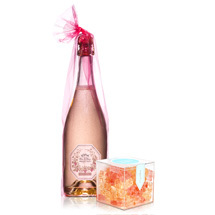 Perfect pair: Sparkling and candy! 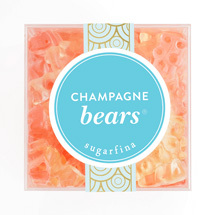 Champagne Bears (1 box) Made with Dom Pérignon Vintage Champagne, these sophisticated bears sparkle in flavors of classic Brut and fashionable Rose. Non-alcoholic. 12.9 oz. Shelf life: 9 months. 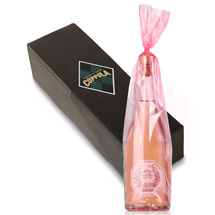 Ingredients: Glucose syrup, sugar, gelatin, Dom Pérignon Champagne, citric acid and lactic acid, natural flavoring, natural colors (black currant, carrot), vegetable oils (palm kernel oil, coconut oil), beeswax, carnauba wax. Contains: Coconut and may contain traces of wheat, peanuts and tree nuts. 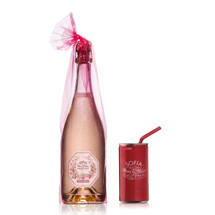 Sofia Blanc de Blancs (1 bottle) Our Sofia Blanc de Blancs offers an alluring perfume and fresh notes of white peaches, mango, orange blossoms and honey. With interplay on the palate of gentle sweetness and crisp citrus verve, the light character and delicate effervescence of this wine finishes with a trace of minerality and subtle hint of lime. It’s beautiful as an aperitif and perfect for pairing with hors d’oeuvres and light fare.